European equities are set to open flat on caution and mixed cues. Overnight, US markets closed higher as markets took Janet Yellen's dis-inflation worries as a dovish signal, but poor results from Google after the close has undone the positive handover. The talks in Geneva between the West and Russia are also keeping traders in a cautious mindset. No one is quite clear what is happening on the ground in the Ukraine, following numerous reports of gun battles, mass defections, building occupations, and tank thefts. As a result, investors will not want to put on large positions going into a long weekend when the expectations for the talks are so low. The Dow Jones Industrial Average saw its third day of gains on Wednesday despite mixed economic data from the US and positive Chinese economic growth data. The Dow climbed 162 points during the course of the day, ending the day up almost 1%. Investors welcomed solid company earnings and a speech given by Federal Reserve Chair Janet Yellen who said she expects the economy to reach maximum employment and meet inflation targets by the end of 2016. An overnight surge in US markets is seeing European equities set to open higher. Although yesterday's European session was dogged by worries of the escalating situation in the Ukraine, something kicked off a buying spree in the US which is dragging everyone else along with them. Pundits have put the reversal down to everything from rumours that Japan will downgrade its economic assessment, possibly leading to yet more QE, all the way to HFT bots messing around with nervous markets. What is for sure is that Kiev and Moscow aren't about to shake hands and put their differences aside, so jittery market conditions are set to persist. After a shaky start to the trading session, the Dow Jones made a late rally to end the session up 89 points, or 0.6%, on Tuesday to close at 16,262. 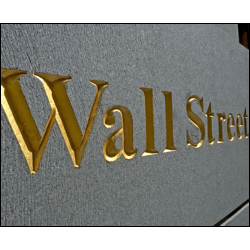 Rising tension in Ukraine and poor consumer confidence in the US housing market weighed down on the equity markets, however encouraging earnings spurred the bulls on, allowing the Dow to make a late rally. Johnson & Johnson climbed 8%, whilst Coca-Cola shares jumped 3.7% after reporting better than excepted revenue. European equities are set to open flat as they're caught between two competing poles of sentiment. On the one hand, pulling spread traders towards the bullish camp is the recovery taking place in the US. Its resilience and ability to shake off shocks like the weather should be a good indicator for the global economy. However, arguing for a more bearish stance, right on Europe's doorstep is the Ukrainian tinderbox that has the possibility to flare up into an incident of unimaginable size. Closer to home the economic outlook remains murky. Whilst the alarm bells of deflation on the continent have been sounding for a while, today's expected seventh consecutive decline in the UK CPI is sure to get some speculating that we are in for the same fate. Although deflation is supposed to be negative for stocks, in a roundabout way it could be bullish. Pressure is already mounting on the ECB to fire off some QE bazookas and the last time the UK got down to around these levels of inflation the BoE actually did, although that was more of a coincidence rather than a direct attempt at staving off deflation. The Dow Jones Industrial Average rose by 146 points on Monday, recovering from its sharp fall last week. The boost in stocks came from stronger than expected retail data that helped put the mind of some traders at ease given the current situation in the Ukraine. The rise in the Dow was also spurred on by solid earnings from Citigroup which reported its net income for the first quarter up 4%.